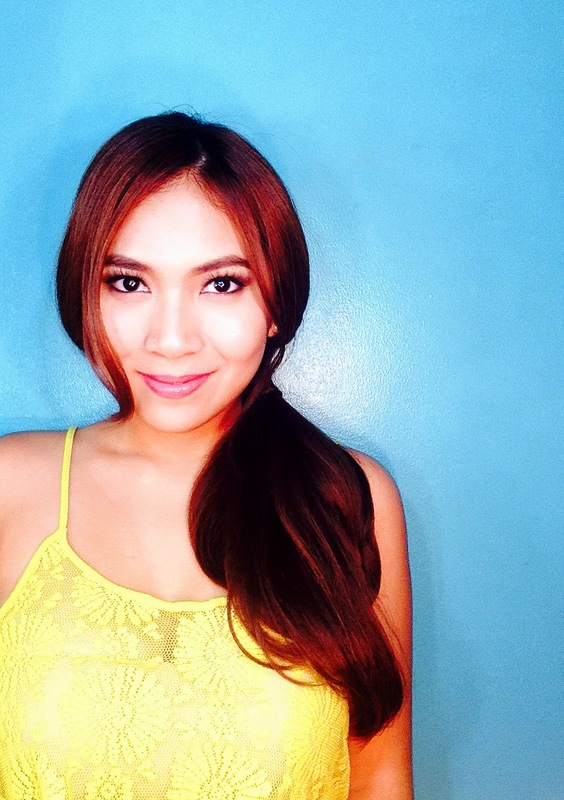 Rustan’s Beauty Addict is one of the beauty events that I look forward to the most each year. 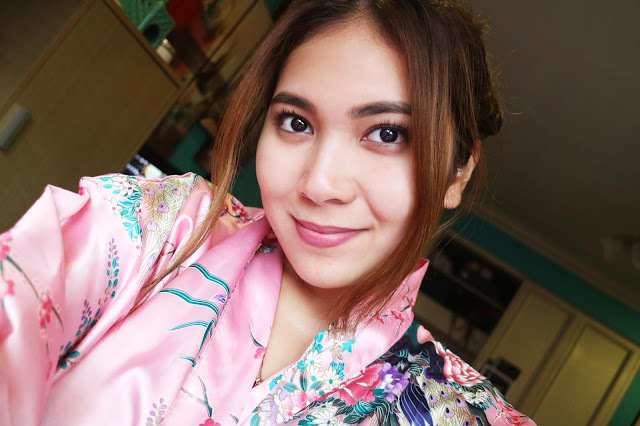 It’s just so much fun to be able to drop by each beauty brand in Rustan’s and get to participate in whatever activity they have in store for beauty lovers like myself. I went with Ate Trina and my best friend Alex this year and as you can see from my vlog, we had a great time! Unfortunately, I wasn’t as lucky as I was last year wherein I won most of the games I joined. But it's okay becayse Ate Trina had an incredibly lucky streak. Beginners luck perhaps? HAHA. Anyway, you can check out my vlog about the event below. And aside from this, I was fortunate enough to be sent a few Sisley products to try out! The first was this Purifying Re-Balancing Lotion, and the second was a mattifying moisturizer. These products were especially made for combination/oily skin like mine and both contain Tropical Resins. I applied an even layer of the Purifying Re-Balancing Lotion on a cotton pad first and concentrated most of it on my t-zone since this is where I get the most oily. This product promises to purify, resurface, and soften the skin. I was pleasantly surprised to find that it was able to deliver even after just a few days of trying it out. 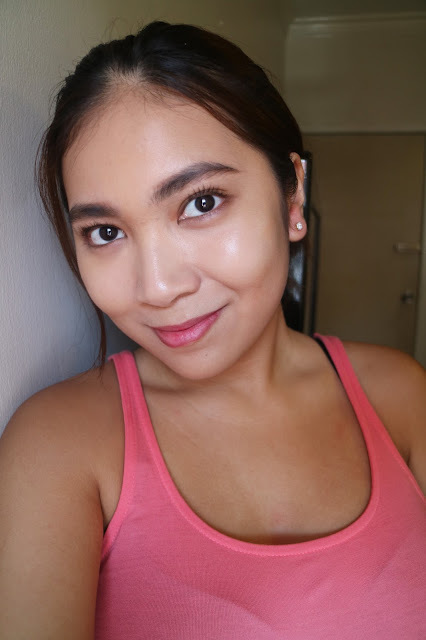 My skin felt really soft yet a bit tighter (in a good way!) after application. I allowed this product to fully absorb before moving on to applying the moisturizer. The only other mattifying moisturizer I own is the Clinique pep-start, which acts more like a makeup primer than an actual moisturizer since it is thicker in consistency to smoothen and fill my pores. I thought this Sisley one would be similar in consistency, but as you can see, it leans more towards an actual moisturizer compared to other mattifying skincare products I'm used to. This products is oil free and has the same mild slightly floral scent as the lotion. I applied about a pea-sized amount around my whole face and watched as my skin looked a lot more matte and flawless, even without makeup! Since the product is oil free, it didn't feel greasy at all and it was absorbed really well by my skin. Voila! Here's how my skin looks after applying these 2 products. In this photo I didn't wear any makeup over it to show you guys how great it can make my skin look bare. But upon experimenting, I find that these products do sit well under makeup and keep my face matte for a longer period of time. 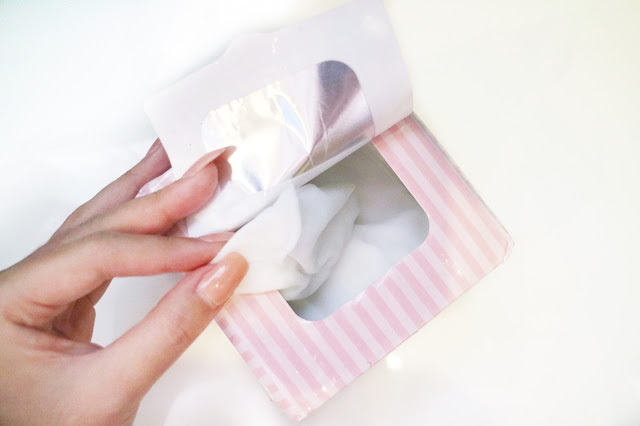 I often reach for them whenever I know I'll be wearing makeup for the whole day. I have also been loving using these products whenever I have makeup clients that complain about their oily skin. They're real life-savers for events such as outdoor weddings or performances. A big thank you to Sisley and Rustan's for sending these over! The 500 Peso Makeup Challenge was probably the hardest tutorial I’ve ever had to film. Don't get me wrong, the makeup section of a Department Store is definitely not foreign territory to me. I love shopping from Department Store brands, but over the past few years, I have gotten used to just saving up for more high-end makeup products, especially when I know the payoff of the product is worth the extra bucks. This made it quite difficult to create a full look with the 500 peso budget. Thank God my best friend Alex was there to help me out (and keep me sane). 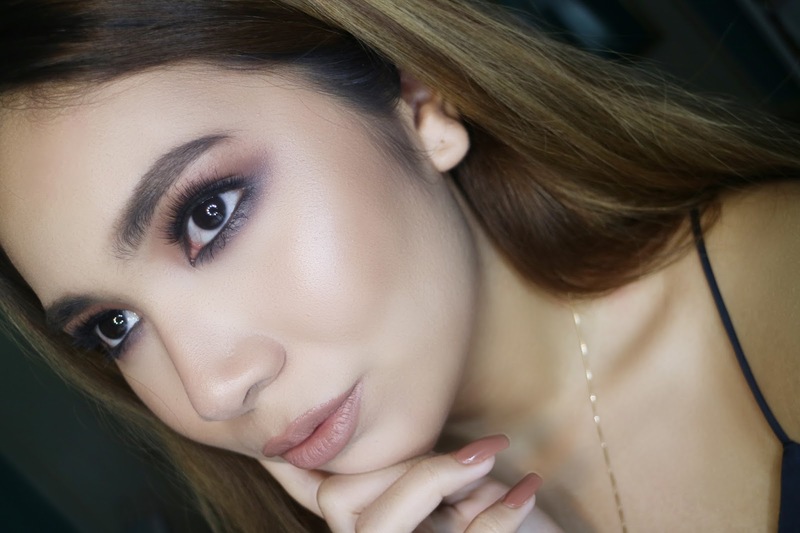 When it comes to eyeshadows in particular, I'm super picky about how pigmented and blendable they are, which is why I usually stick to brands like Anastasia Beverly Hills. To me, they carry some of the most blendable shadows. This is why you'll see me struggling the most with the eye shadow part of this tutorial, because the palette I chose unfortunately did not agree with me huhuhu. When it came to the concealer I chose, I wish I had tested it on my actual under eye area instead of my hand. 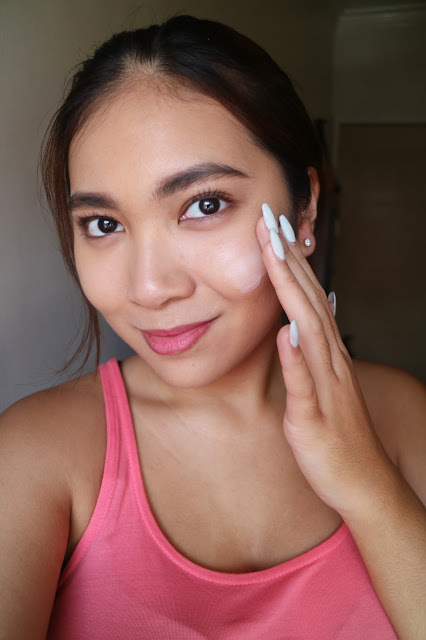 The concealer blended beautifully on my hand, but gave me such a hard time on my face. The struggle was real. 3. Pinkies Lipliners are AMAZING! Could dairy be affecting your skin? We all get those unexplainable breakouts every once in a while. Just last month, I noticed that my skin wasn’t in its usual shape. I could tell that a breakout was forming around my forehead area, and my whole face in general was a bit more blotchy and red than usual. I knew it couldn't have been my skin care products since I had been using them for months already, and I wasn't using any new makeup products that could be the cause either. 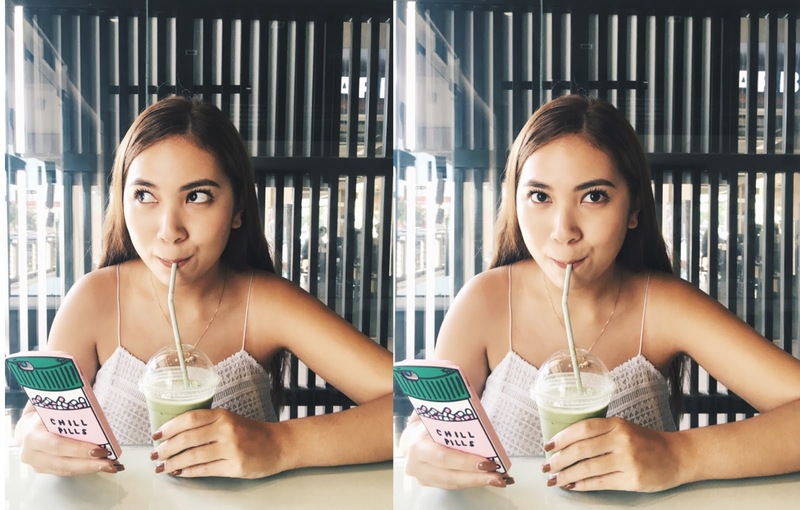 Long story short, upon realizing that I was drinking a lot more Iced Lattes and Mochas for the past few weeks cause of school, I was finally able to link the issues on my skin with an unexpected culprit -- dairy. I've heard about the negative effects of dairy on the skin before, but being the cheese and dessert loving person that I am, I chose to ignore them HAHA. I wouldn't say my dairy intake is too high on a regular basis, but like I said, I was really drinking a ridiculous amount of coffee beverages that had milk in them for a few weeks. So I decided to take action, and once I started lessening my dairy intake for around 3 weeks, I noticed my skin going back to normal. Coincidence? I think not! So now I just wanna share with you guys a few of the most important things I've learned about the effects of dairy on the skin to save you guys the trouble of reading through tons of articles with highly scientific terms and more importantly, to possibly save your skin! I got all my info from different medical websites, and of course, beauty blogs with testimonials from real women all over the world. For starters, did you guys know that 75% of the entire population of the world cannot properly digest milk and other dairy products? THAT'S HUGE. Basically, our human stomachs weren't made to digest milk from cows which is why I've heard and read lots of testimonials from people saying that aside from getting better skin, they have also stopped getting stomach pains when they removed dairy from their diets. Dairy is also one of the most inflammatory food out there because loads of skin problems can be linked to the inflammatory properties from different animal proteins. Not only skin problems, but dairy is linked to different kinds of cancers as well. Isn't that so scary? I’ve been a Rustan’s Beauty Addict card holder for a few years now from all the makeup shopping sprees I’ve done at Rustan’s. When I was just starting out my makeup collection, I remember rushing to Rustan’s every chance I got aka whenever my dad would reward me with money for getting high grades HEHE. While online shopping for makeup is getting more and more popular nowadays, I personally just find it so much better and even kinda therapeutic to actually go to the different makeup counters and try out products. Even if I come out of there with an arm full of lipstick, eyeliner, and eyeshadow swatches, I wear these swatches like a badge of honor. Makeup is serious business jafeel? So now, my beauty addict card is pretty scratched up from being one of my most used cards, but I really can’t imagine my makeup shopping experience without it! 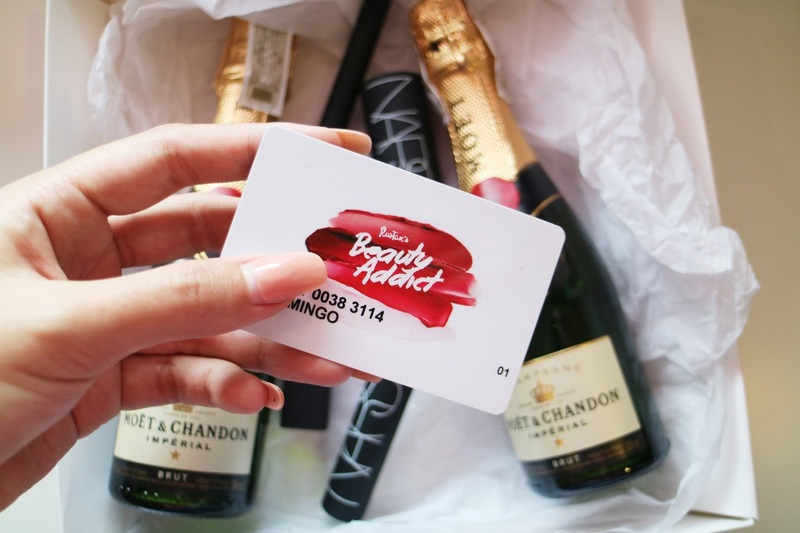 Through the Beauty Addict card, you can even get access to different beauty events and be the first to know about epic sales and special offers. DON’T MISS OUT GUYS! Rustan’s has one of the best selections of different makeup brands, especially if you’re feeling like splurging yourself to a few high end products. I know I’m guilty of that all the time hehe. One of my ultimate favorite brands to shop for in Rustan’s (and in general, really) is of course, NARS. And I feel like the people over at Rustan’s could read my mind since they were even kind enough to send in a few NARS products for me to try out. 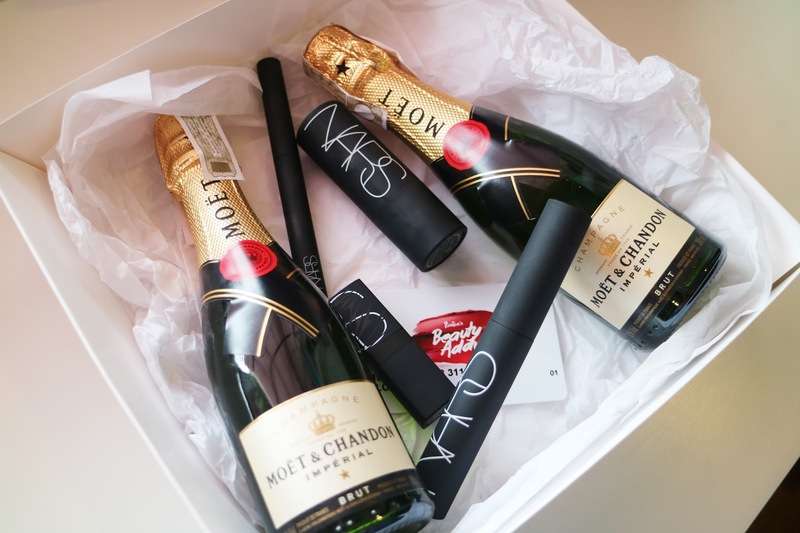 Not only that, but they even teamed up with Moet and sent in 2 bottles of champagne. I almost did a cartwheel when I opened the package HAHA. This package arrived just in time for their Beauty Addict event tomorrow, which is a perfect example of the great events that anyone who is a Beauty Addict card holder can be invited to! at Rustan’s! Promise guys, they really go the extra mile to make your makeup dreams come true! What's great about it is that it's resealable too, so you don't have to worry about it drying out! I find it super convenient to just grab one anytime. I also love how moisturizing these masks are on the skin. My skin type is oily, but I still use these masks once or twice a week. It doesn't turn me greasy or anything, it just makes my skin very plump, soft, and supple. I'm sure it would work even better for dry skin types as well. It's loaded with collagen and about 30 kinds of beauty essences which leaves my skin in great condition. Aside from this mask, Hadabisei also carries other variations such as anti-aging or tightening masks. I haven't tried them out yet but I'll be sure to review them once I have! No joke, I look like this practically half of the time I'm home. Complete with messy bun and my favorite robe HAHAHA. 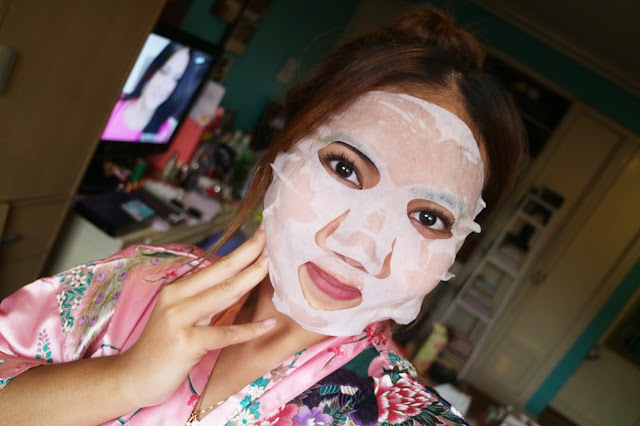 I really believe that great makeup starts with a great base, which is why I always strongly recommend incorporating sheet masks into your skincare regimen. This mask has been perfect for giving my skin a nice boost of nourishment whenever I know I'm gonna be wearing a lot of foundation. Together with a light exfoliation, gets rid of any dry patches of skin that makeup may cling on to. It's the little things like that which can really be a deal breaker for your makeup routine. If you wanna get yourself this epic pack of sheet masks, head on over to any Beauty Bar! 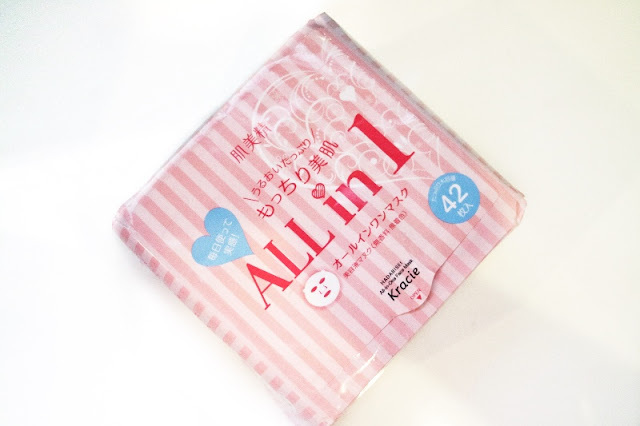 They carry the All in One mask together with Hadabisei's other variations of sheet masks. This entire pack of 42 costs around Php900 which is such a steal! Happy face masking, beauties! I’m really happy I’m finally able to share my skincare routine with you guys! Since so many of you were requesting that I share some of my favorite skin care products, I've decided to just create this video so I could explain each and every one of them better. Take note that my skin type is oily, so of course what works for me wont work on everyone!